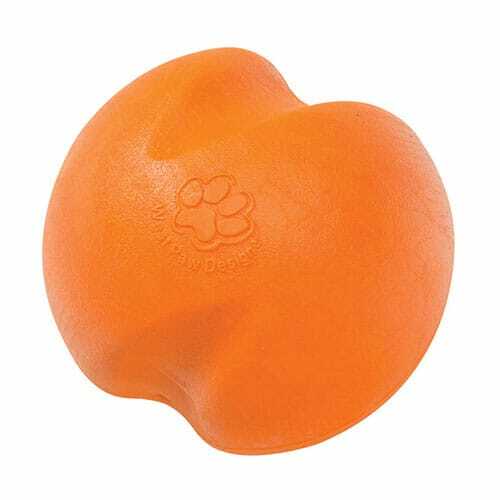 The most durable toy West Paw makes, we aren’t exaggerating when we say this is the best dog ball around. With an erratic bounce that keeps dogs busy, Jive makes fetch way more fun. 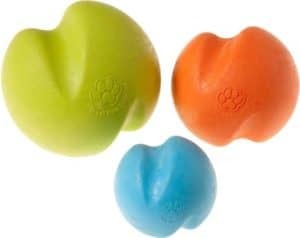 Small Jive fits in a standard ball thrower and is safer and tougher than a tennis ball. The bright, easy-to-spot colors make Jive easy to retrieve in snow, streams and pretty much any outdoor situation.